Christmas comes early this year with the availability of new iMacs, Mac Mini Servers and a new unibody polycarbonate MacBook. Boy, it’s been quite a long while since I felt such a sense of euphoria! On another related note, congrats to the team at Apple for its outstanding performance the the 4th Quarter of the fiscal year. 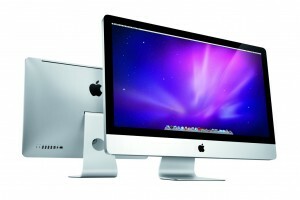 Gone are the 20″ and 24″ iMacs – they are replaced with 21.5″ and 27″ (OMG!) iMacs. And for the first time, Quad Core (i5 and i7) options are available and they are in fact affordable (SGD2788 for 27″ Quad Core iMac after Educational Discount of SGD$200) – though they would only ship in November. With this bump, it would seem as though the iMac can almost match up to the Mac Pro in terms of raw processing power. And of course, the standard stuff (for default configurations): 4GB of DDR3 RAM (expandable to up to 16GB), up to 1TB of storage, ATI Radeon HD4670 or 4850 (the base 21.5″ iMac still uses the NVIDIA GeForce 9400M integrated graphics though). The new iMacs will ship (for the first time) with the Wireless Apple Keyboard (though the wired option is available free of charge) and its new Magic Mouse, which is basically a wireless laser tracking mouse with a multitouch surface – though I am not sure how good is it really. And oh, did I mention that there is now a SD card slot, though sadly, there is still no Blu-Ray support as was rumored a while back. 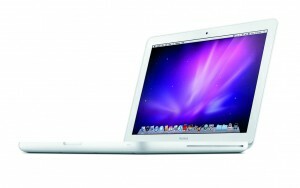 Well, looks like I am definitely getting one of the Quad Cores iMacs to replace my new defunct MacBook Pro. 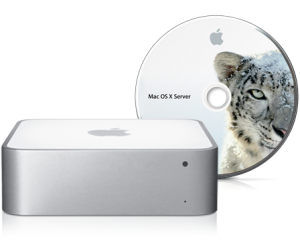 Apple has also announced the availability of a Mac Mini Server, which is meant to serve as a cheaper alternative to its Xserve solutions targeted at small businesses and even home users. It ships with Mac OS X Server (Unlimited Licenses) installed and coupled with respective hardware (2.53C2D processors, 4GB DDR3 RAM, Dual 500GB 5400RPM (only?!) Hard Disks), it makes a perfect choice as a server for anyone that find Xserves to expensive to deploy. And it does make sense, since many home users have been running Mac Minis as a media or file server at home, and this addition would definitely be welcome for home power users, who can now utilize server technologies such as Calendar and Contact syncing etc. However, Apple removed the optical disk drive to house the dual hard disks without compromising the small size of the Mac Mini, I suppose, so it’s Bring Your Own Disk Reader. Apple updated its MacBook to feature a unibody design, just like the newer MacBook Pros and MacBook Air, only that it is made of “rugged polycarbonate” – a nicer name for plastic – rather than aluminum. The MacBook now also uses an integrated battery with a claimed battery life of up to 7 hours and up to 1000 recharge cycle, completing Apple’s transition of using integrated batteries for its entire notebook line (and other products like iPods and iPhones as well). The screen has also been changed to an LED backlight display and it also features the glass multitouch trackpad found in the MacBook Pro line. And of course, an update wouldn’t be complete without a specification bump: 2.26 C2D Processor with 2GB DDR3 RAM, 250GB 5400RPM Hard Disk and NVIDIA GeForce 9400M integrated graphics available as a standard configuration. Note that this is also the sole configuration available (though there are still options to customize at the online Apple Store) – any demands for more raw power would have to be met with a 13″ MacBook Pro. Also, note that Firewire is no longer available on the MacBook – a very unwelcome move I am sure – and that the audio in and audio out ports have been replaced with a single audio in/out port. There are also some redesigned accessories available: the new Apple Remote, a new Apple Wireless Keyboard and a new 60W Magsafe Power Adapter for the MacBook in addition to the new Magic Mouse. All in all, some pretty nice new products, though I do not understand why there was no Apple Event announcing these new products.